OH….MY….GOODNESS…! I don’t even know where to begin! 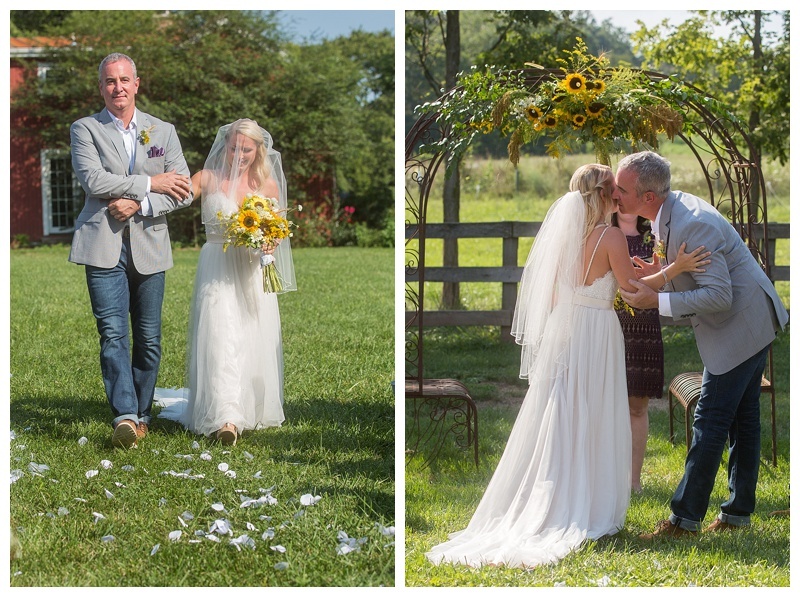 I am SO happy that I can finally say Cait and Billy are married!! 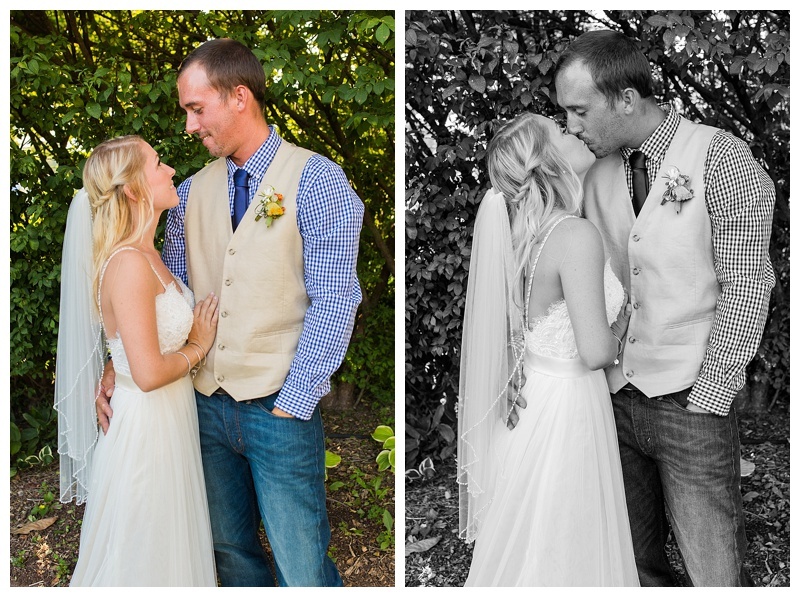 It has been such a long time coming, and anyone who has ever known them, knows they’re absolutely meant to be! 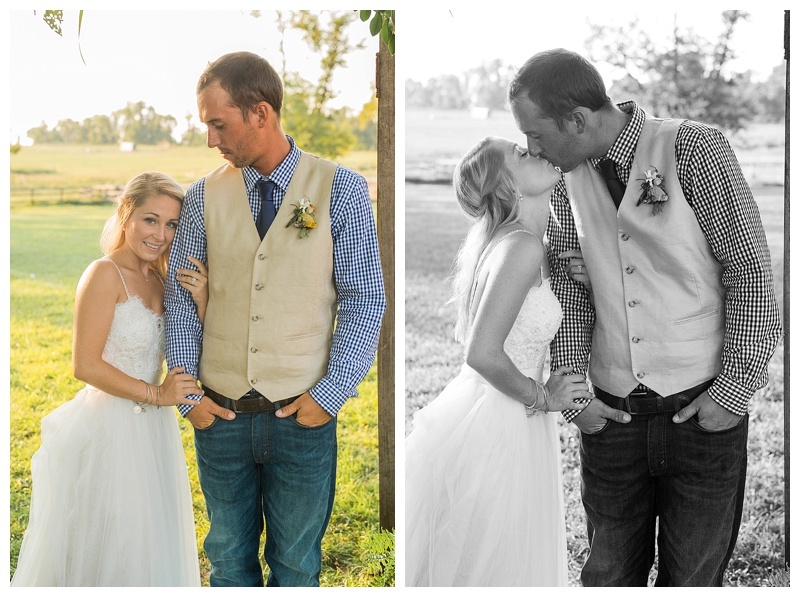 Cait and Billy met in middle school, and began their relationship when they were in high school after sharing most of their classes together each year. 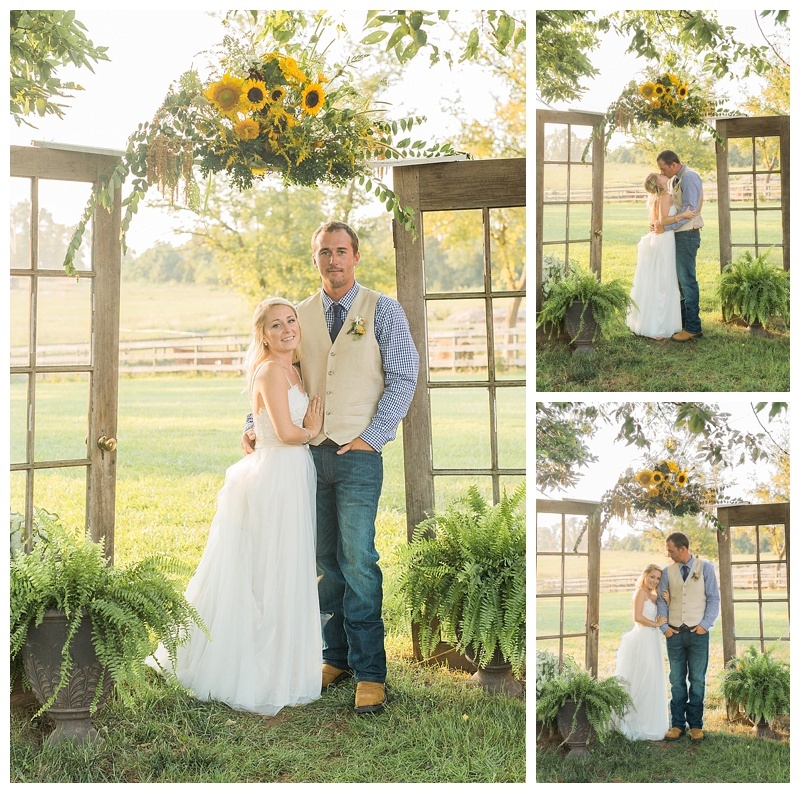 They experienced so many steps in life together from high school dances to getting their licenses and more. How could they have known then that years down the road they would be walking back down the aisle together as a married couple. I met Cait and Billy during a short period of their lives that they were not together. I can remember spending countless nights in Billy’s jacked up green Toyota Tacoma talking about Cait and planning their reconnection (Because we all knew the world stop spinning if they weren’t together forever). Once they were back together, they made their long time goal of moving to the beach a reality and have lived happily there together for many years now (You guys can move back home now please! lol). One christmas eve, Cait thought she was going to have the best gift of all as she was surprising Billy with a English Bull Dog puppy. But, Billy topped her as she opened box after box to get to the ultimate tiny box accompanied by Billy on one knee. How sweet!! 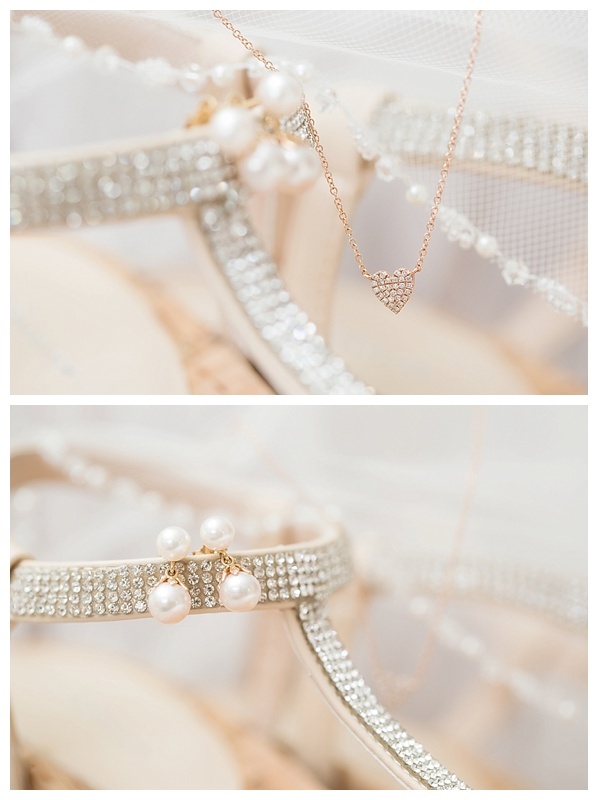 Cait’s Jewelry was so simple and elegantly beautiful! Her and her mother had matching necklaces. How cute! 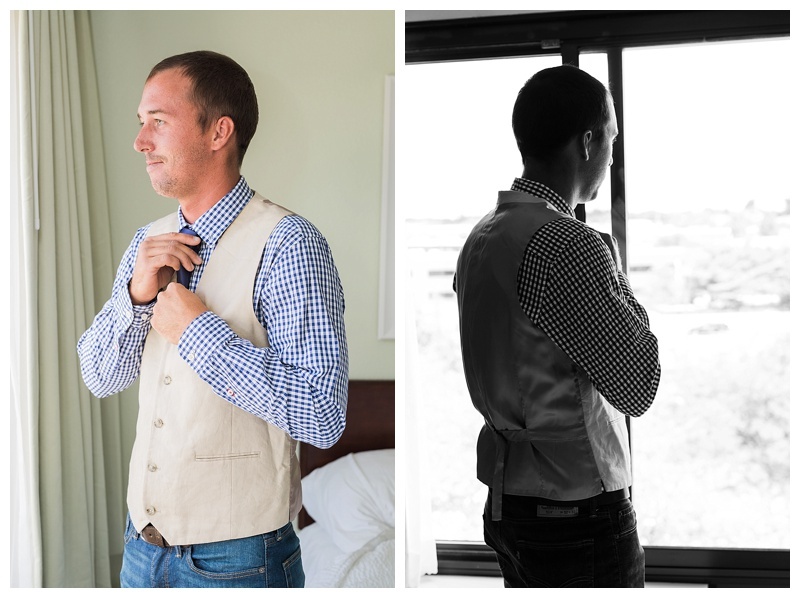 I loved Billy and his Groomsmen’s attire! 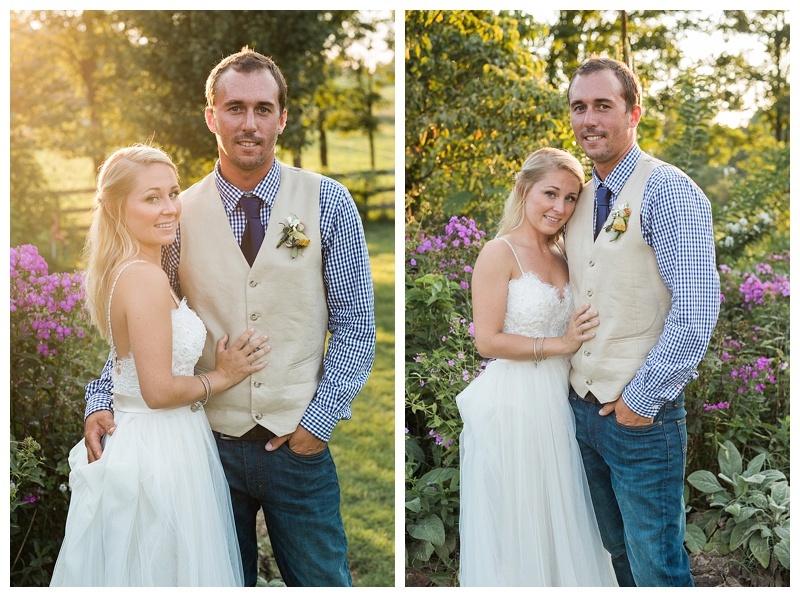 They all looked so handsome in their plaid shirts and vests. Cait was so flawless the whole day! 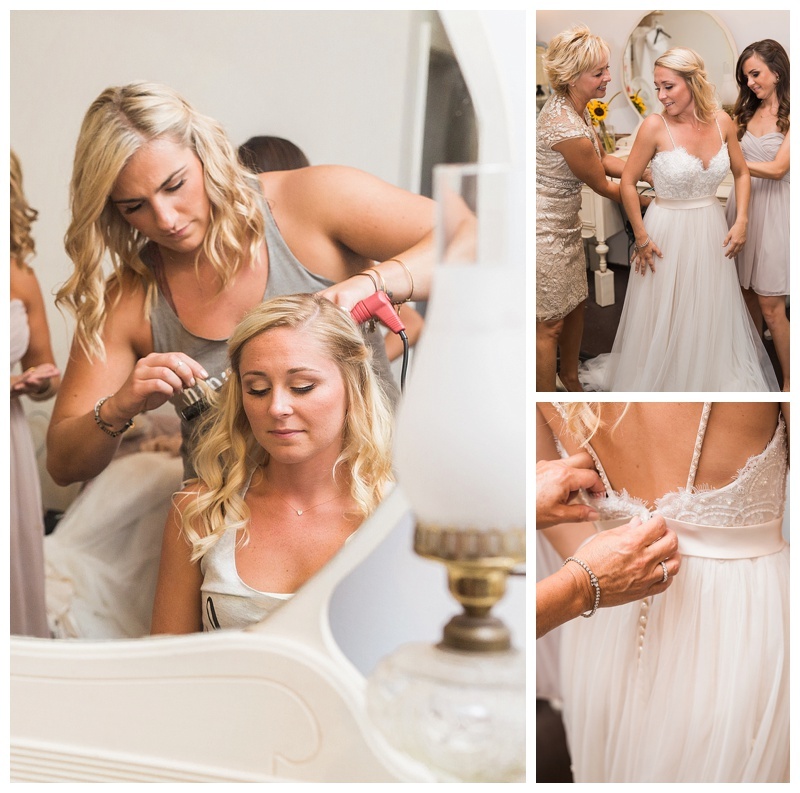 Look at how beautiful she is as she is putting on her dress and touching up hair and make up! So pretty!! The girls were full of laughs all day! 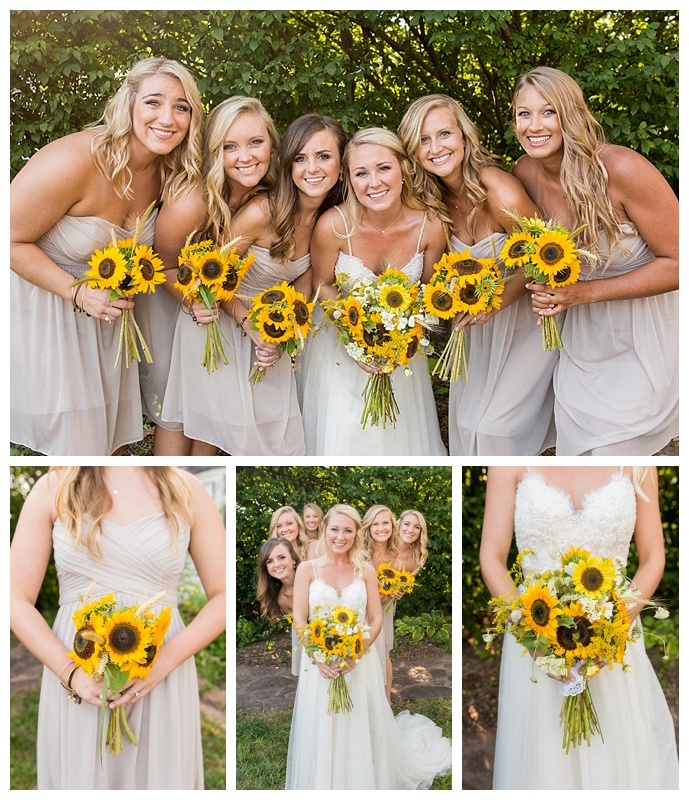 Such a fun group, not to mention so beautiful!! 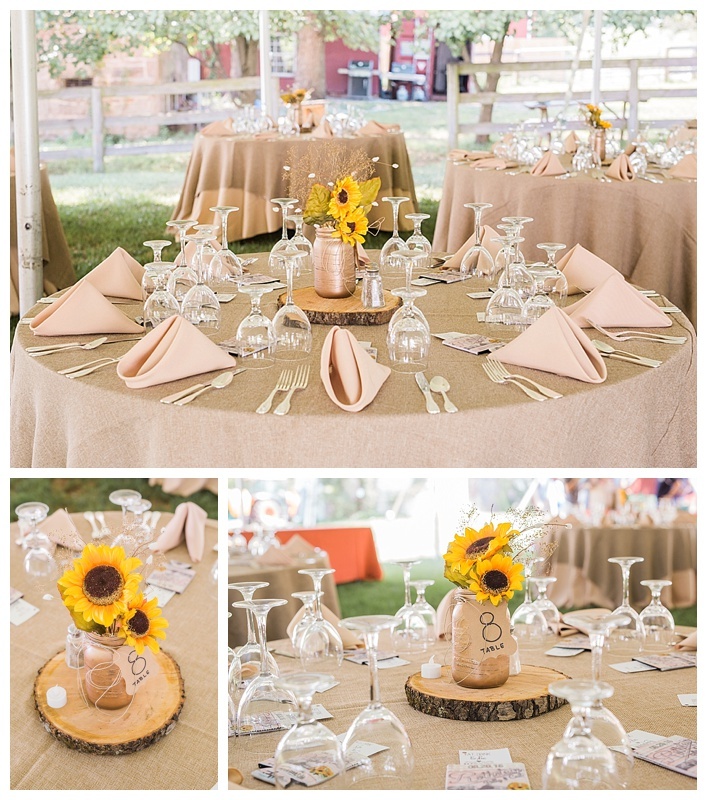 The farm inspired burlap and sunflower theme was adorable! 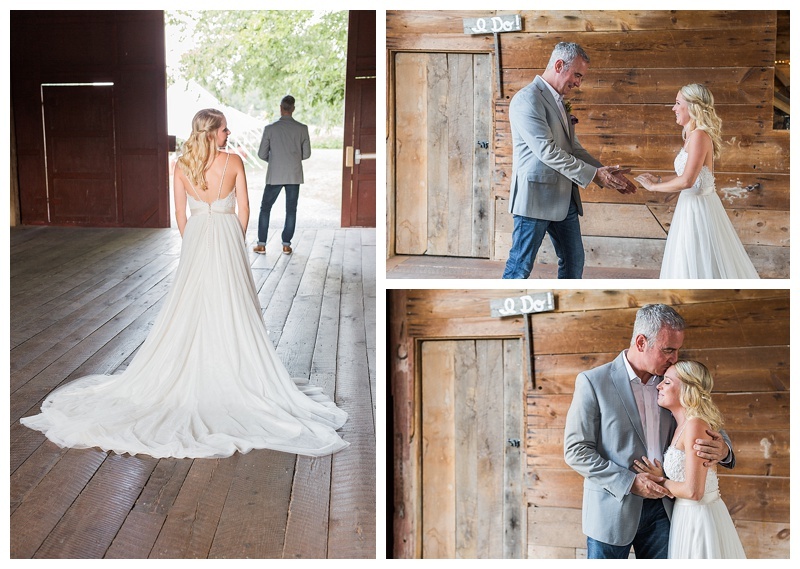 Cait and her father had a first look, and it was SO precious!! 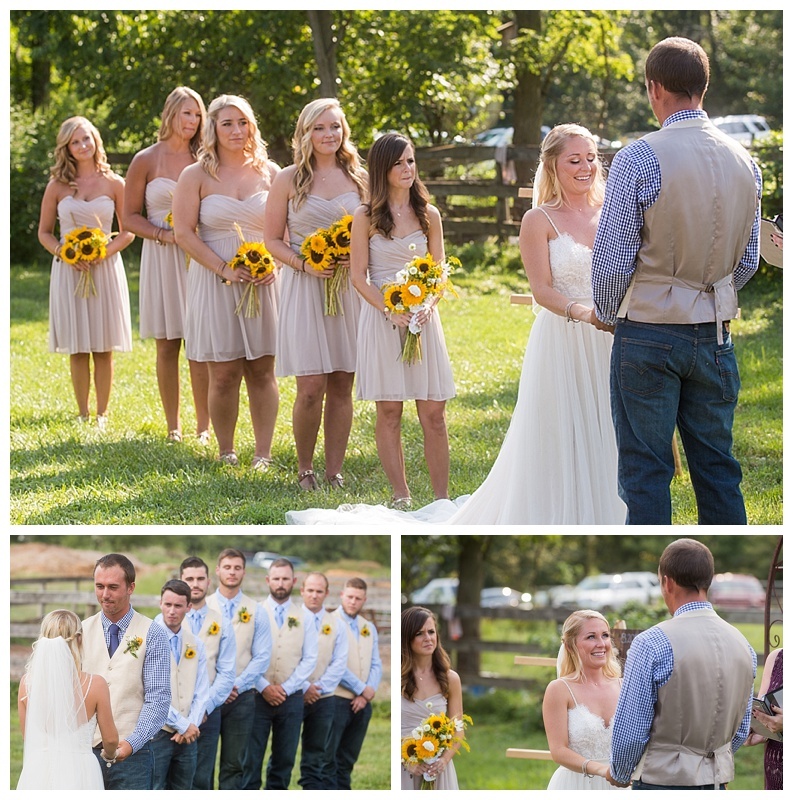 The hot sun beating down on the ceremony was no match for the love and happiness pouring out of everyone involved in this special day! The pure happiness overflowing from Cait and Billy following their kiss melts my heart! Cait described the moment as “feeling as if I were on top of the world” Too sweet!! 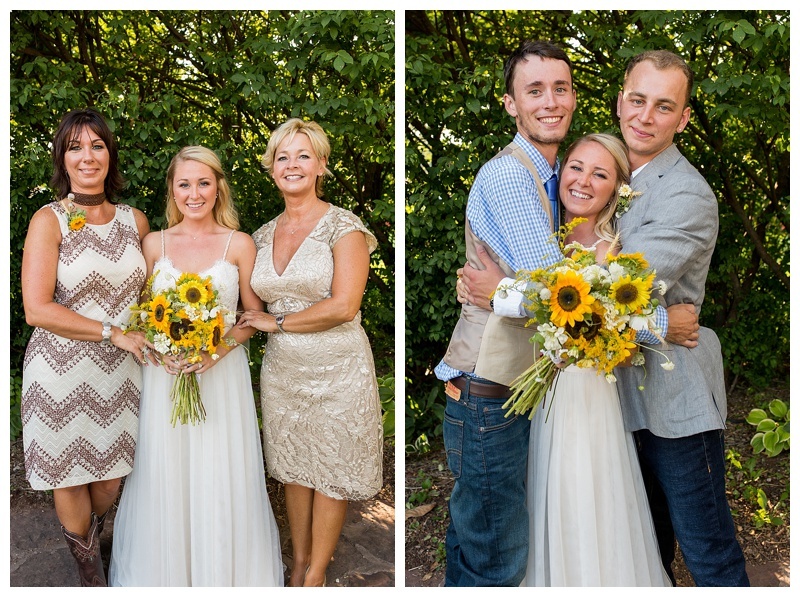 Cait and Billy I swear both have the worlds cutest moms! And both of their brothers have so much love for them! 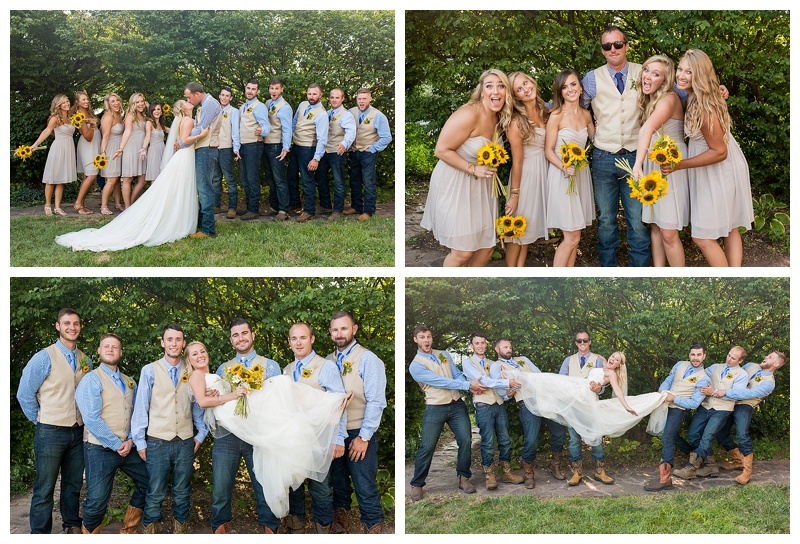 There was never a dull moment with this awesome bridal party! So much fun!! Cait and Billy are ADORABLE TOGETHER! 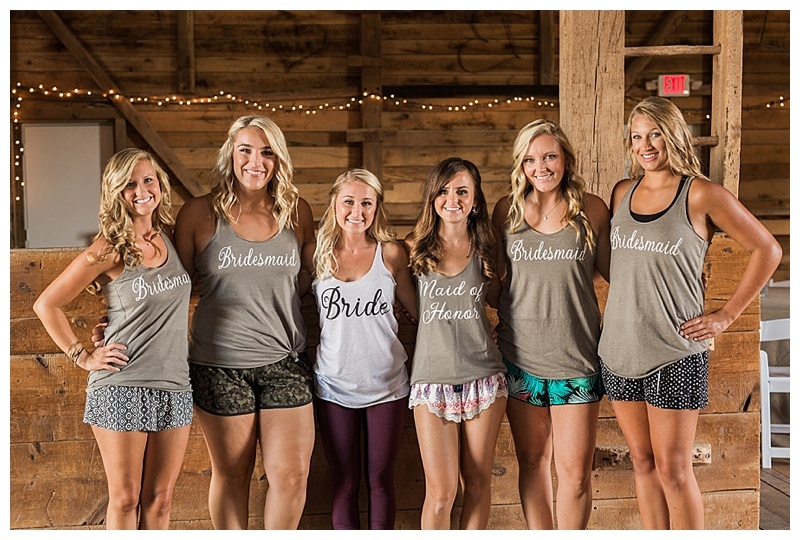 Just look at all of these bridal portraits. They are so in love! The toasts were full of laughing! I don’t think Cait stopped laughing once the whole time! Oh…My….Gosh… OMG! 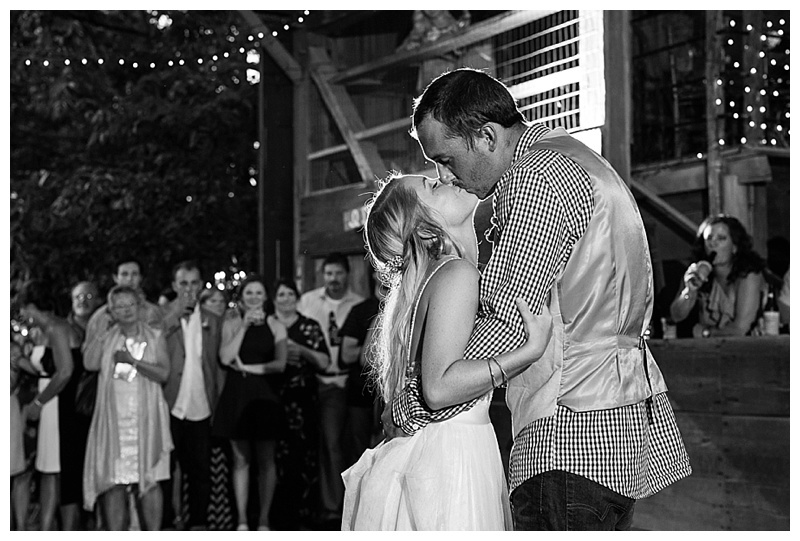 Those are the only words I have for this beautiful first dance! 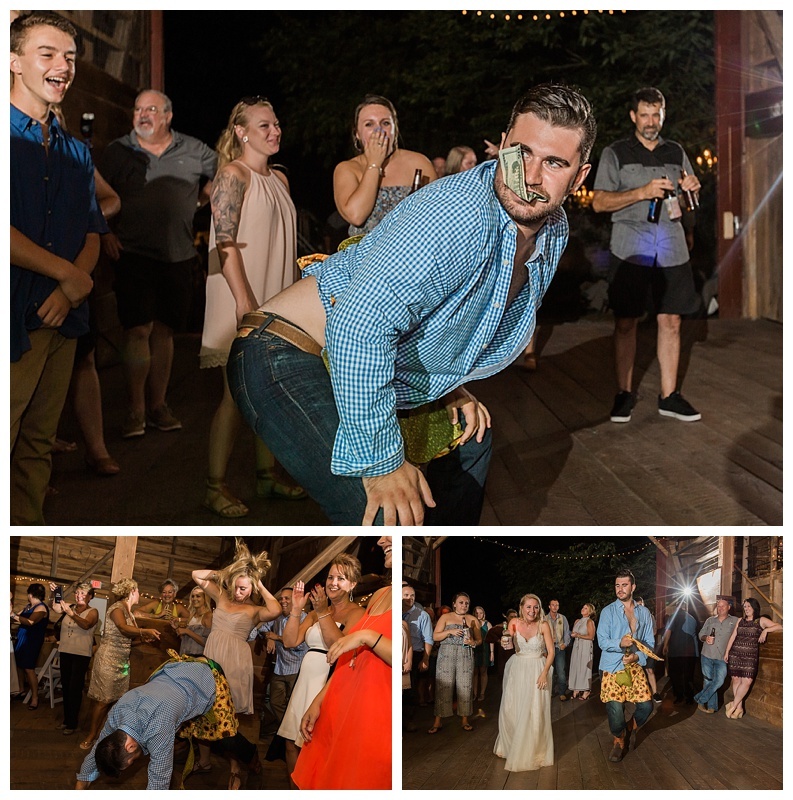 Cake cutting was followed by smashing it in the faces of their Matron of Honor and Best Man who thought they were accompanying them for a photo! How funny! 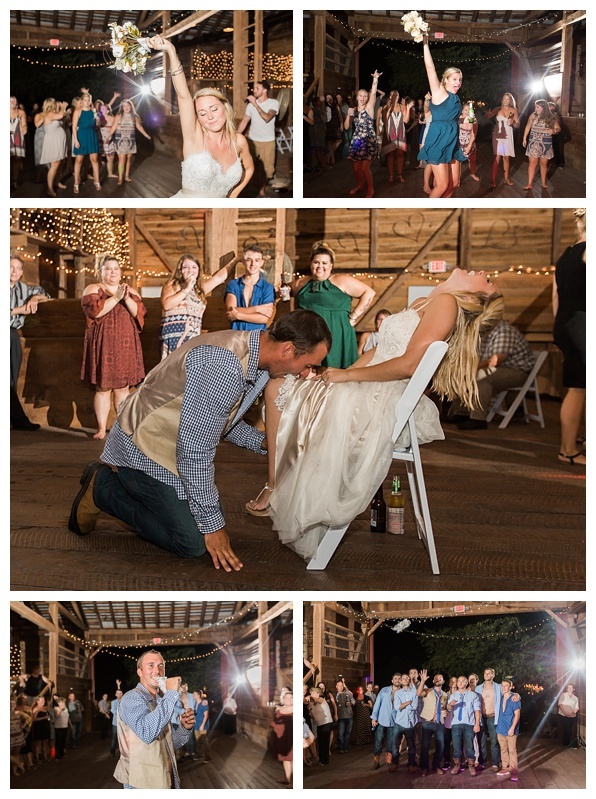 And the apron dance got a tiny bit out of hand, but it kept the whole wedding laughing! 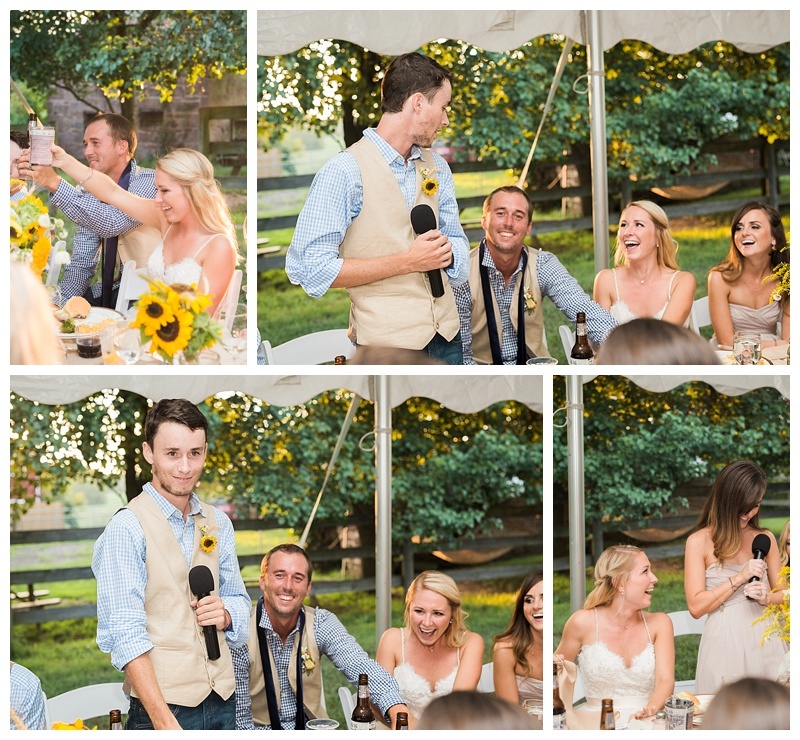 Talk about bouquet toss excitement! 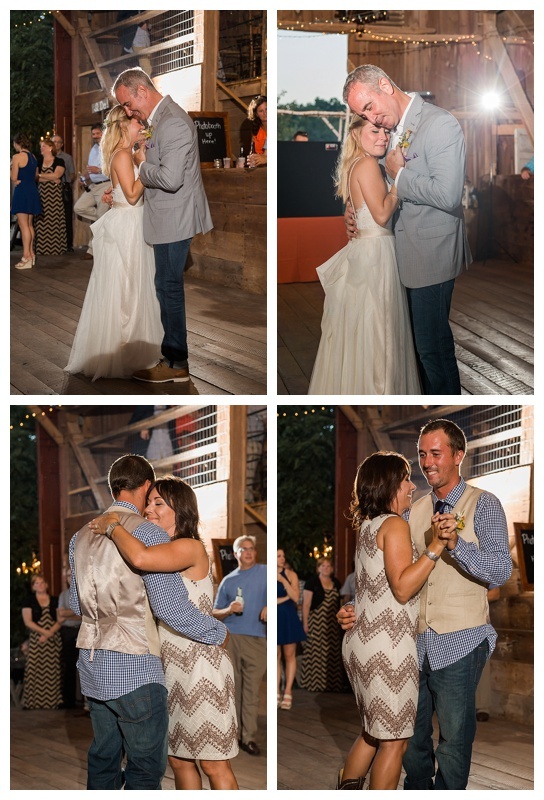 The reception did not lack dancing, that is for sure! 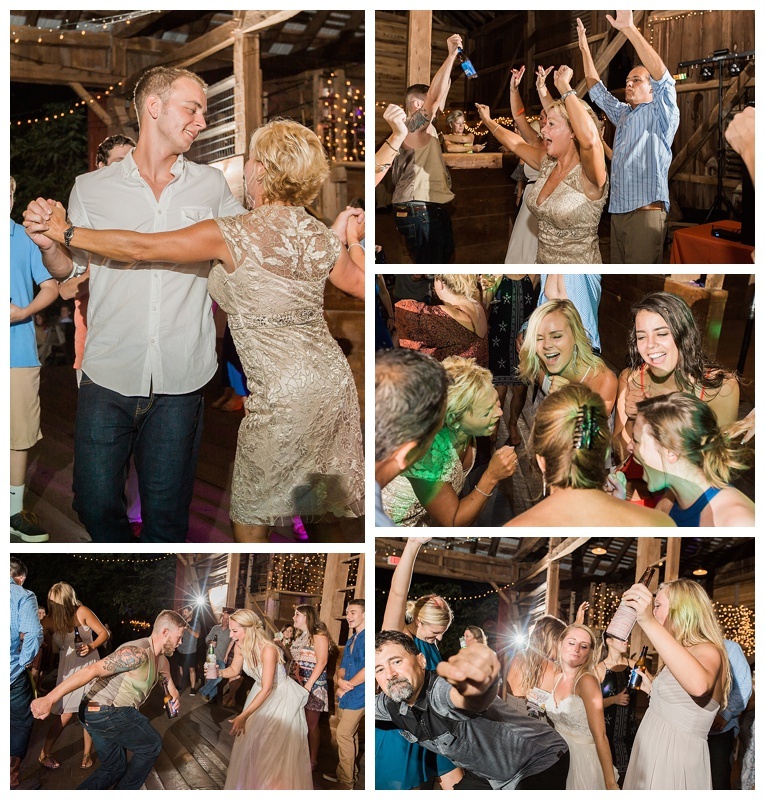 The dance floor was packed at all times! Everyone really knew how to party! 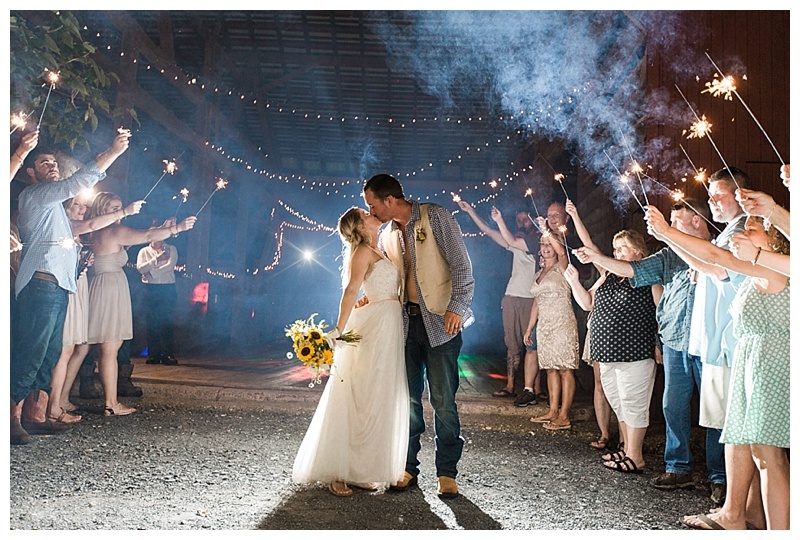 Their night came to an end with beautiful sparkler send off! 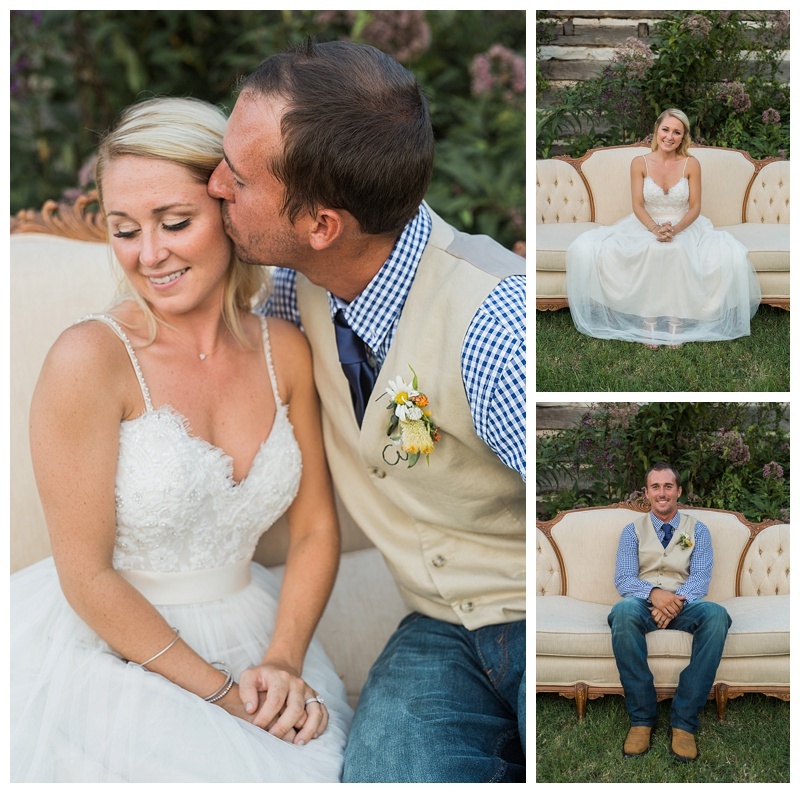 Congrats Cait and Billy! 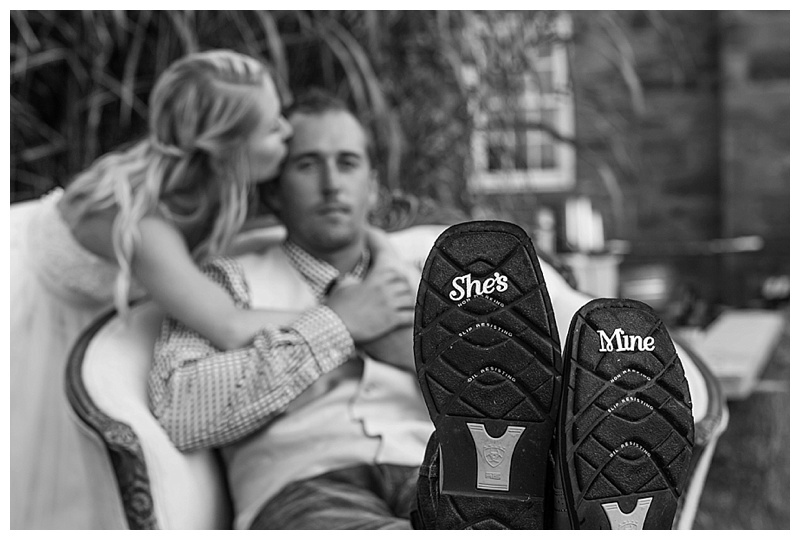 I could not be happier for the both of you!! 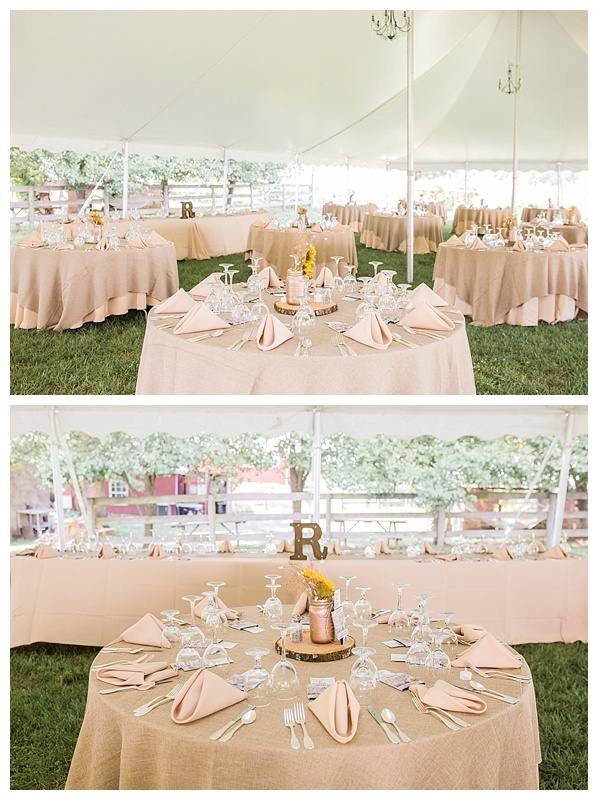 Love the colors and rustic feel of this wedding. Beautiful photos!! 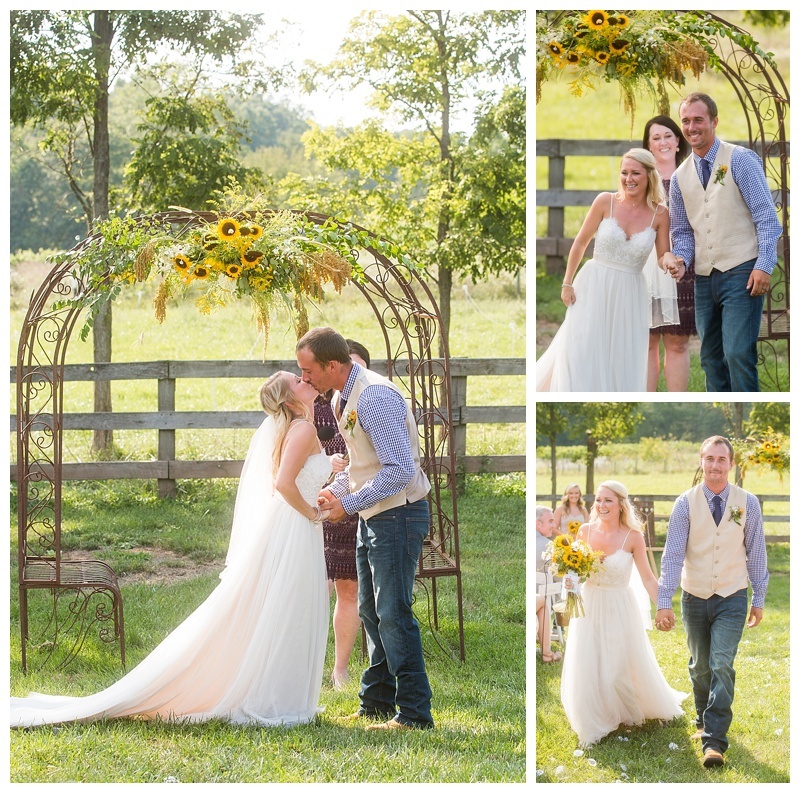 What an incredible wedding!! 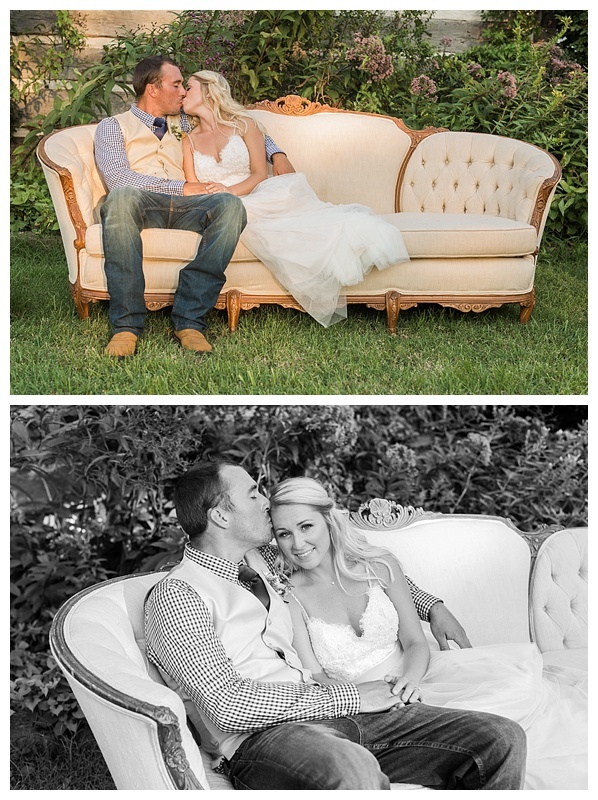 That couch is beautiful and made for such beautiful portraits! 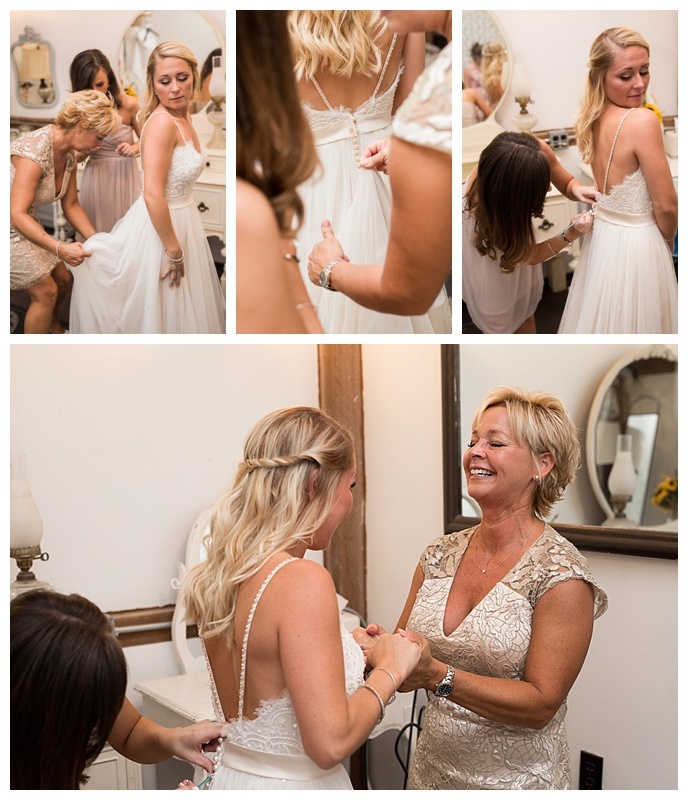 And I love the getting ready pictures – so sweet!! Such a gorgeous day! 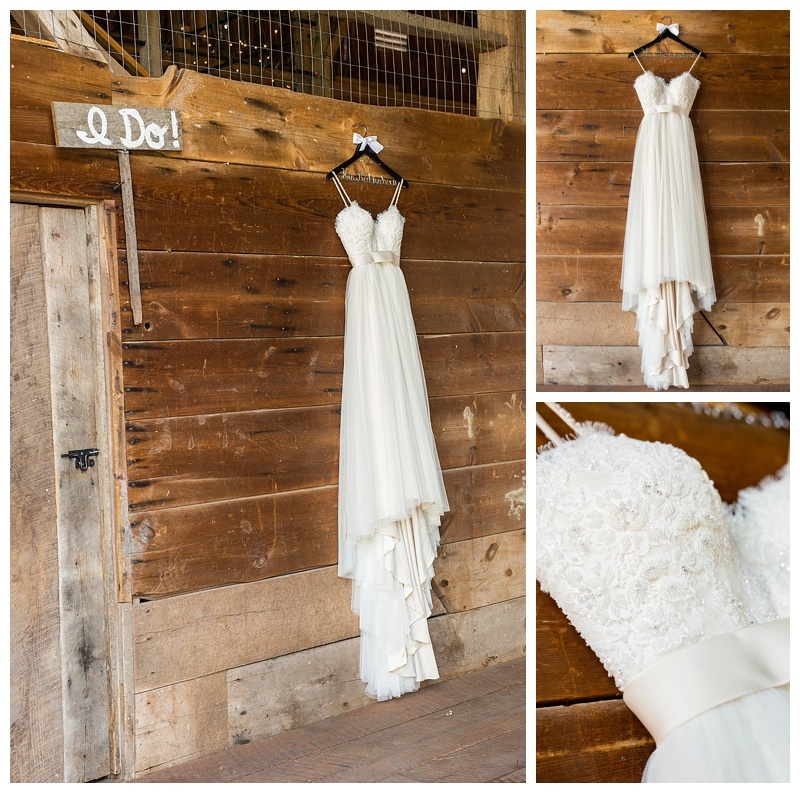 I love the little vintage/rustic touches, and wow that dress is amazing on her! 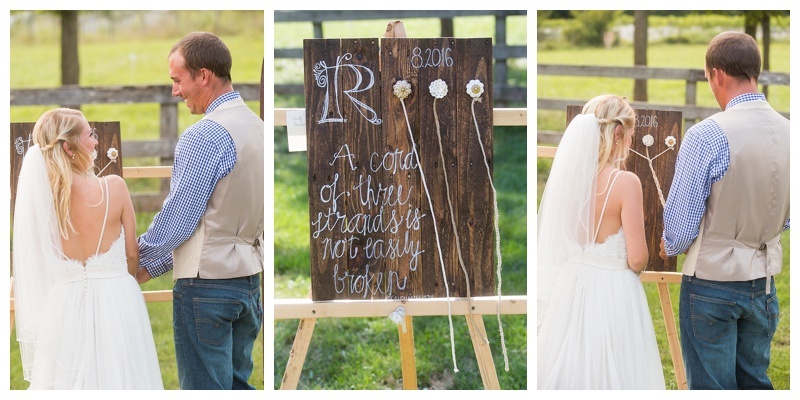 Beautiful job capturing their wedding!! !